Was in Taberna Verdejo for a quick bite of lunch (some fantastic migas and an even better panna cotta) and bumped into a nice chap from the business who happened to be supping on this. I have actually had it before – the first time I had it blind in Surtopia – but I must admit that my curiosity was piqued by a recent review I had read and wanted to give it another look. A shade darker than I remembered it – whereas I expected a more radiant green gold this seemed slightly darker. 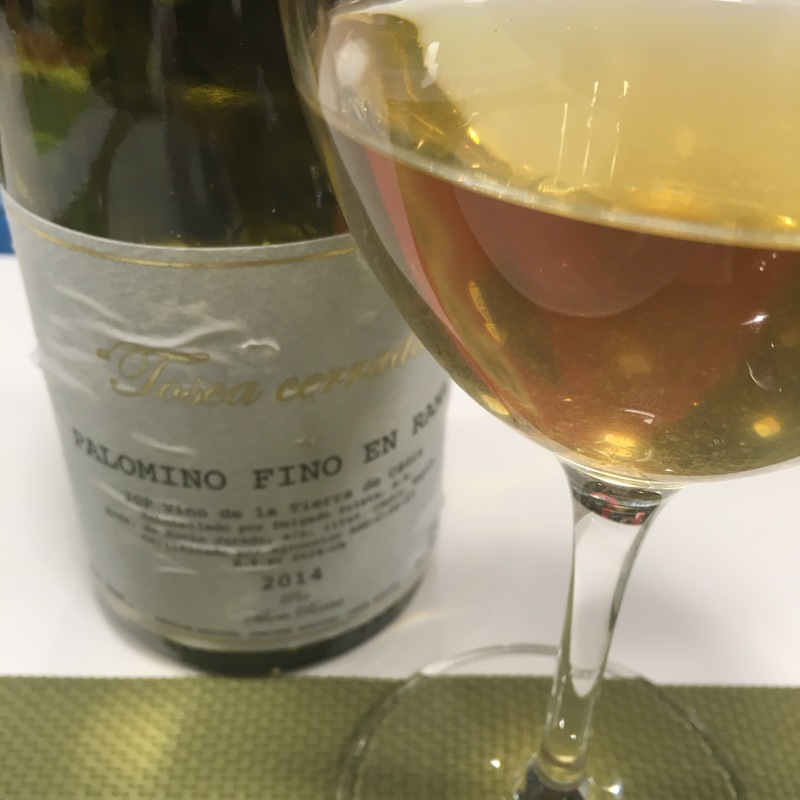 As with the first time I found it had plenty of fruit, calcium and herbs on the nose – if anything this time it seemed even more herbal- but on the palante the fruit and herbs took over a little. Really meaty texture to it and maybe could do with just a touch more acidity. Overall I found it a little bit heavy and lacking in structure, but no doubt that is tasty stuff.